Pipeline opponents are raising new concerns about the safety of Energy Transfer/Sunoco Logistics’ Mariner East 2x natural gas liquids line, which the company says will have a maximum operating pressure much higher than that of the Mariner East 1 and 2 lines. The pressure on the Mariner East 2x had previously been reported in public documents as equal to the pressure of parallel Mariner East 2, which uses the same right-of-way. A pipeline’s “Maximum Allowable Operating Pressure,” or MAOP, is set by the Department of Transportation and, for safety reasons, is lower than what the design characteristics of the pipe can withstand. In permit applications filed in 2016 with the Pennsylvania Department of Environmental Protection, and with the Delaware River Basin Commission in 2015, Sunoco stated the MAOP for Mariner East 2 and 2x would be 1480 psig, or pounds per square inch gauge. But a footnote in recent reports filed with the Pennsylvania Department of Environmental Protection point to a much higher number: 2100 psig. Clean Air Council attorney Alex Bomstein, who says he discovered the difference while analyzing Sunoco’s new horizontal directional drilling plans filed with DEP, said a risk assessment conducted of the pipeline project was based on a lower pressure. “Every risk assessment done on Mariner East has used the 1480 psig figure in calculating destructive potential, because that’s what Sunoco has always represented to the public and to regulators,” Bomstein said. Bomstein’s organization hired Quest Consultants to do a risk assessment on the line. Quest’s senior engineer Jeff Marx, who conducted the assessment, says the risks are greater with a higher pressure. “Something up in the 2100 psi range would be a significant increase and will increase the hazard because the release rate of material is largely driven by pressure,” Marx said. Bomstein says air emissions are also impacted by the pressure, and in air permits filed with DEP for pumping stations, the pressure is reported by Sunoco as 1480 psig. “If the pressure were 2100, that would increase emissions, meaning Sunoco’s estimates would be off, meaning DEP’s determination around air permitting of this would also be legally erroneous,” Bomstein said. Sunoco spokeswoman Lisa Dillinger confirmed in an email that the maximum operating pressure of the Mariner East 2x is 2100, but insists that is not a change. In a review of public documents submitted to the DEP as part of their permit applications in 2016 and to the Delaware River Basin Commission in 2015, StateImpact Pennsylvania could find no reference to the 16-inch Mariner East 2x line operating at 2100 psig. The only references are from the footnotes in recent drawings submitted to DEP as part of the revised construction plans involving horizontal directional drilling. 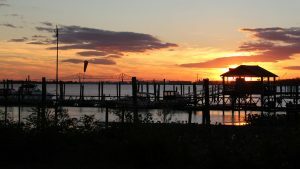 The company was forced to revise its HDD plans after dozens of drilling mud spills resulted in DEP penalties and a lawsuit by Clean Air Council. Sunoco’s Dillinger said the currently operating Mariner East 2 pipeline is designed for 1480 psig and the line was tested at about 2160 psig. 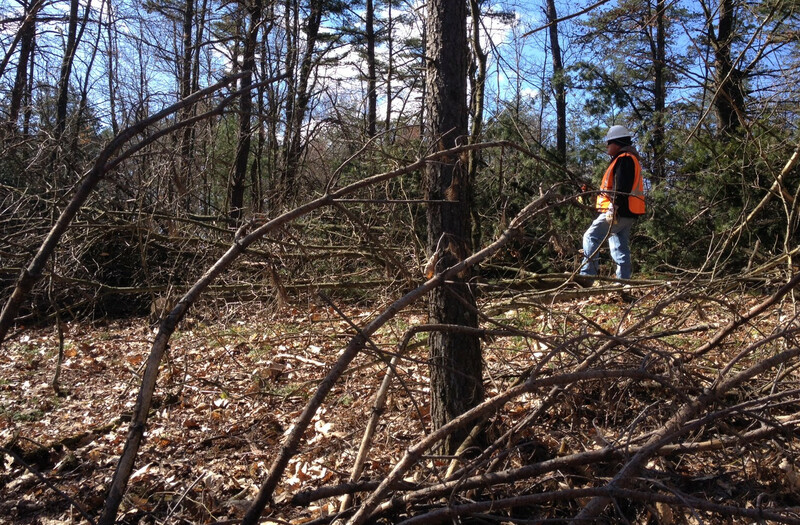 The parallel Mariner East 2x remains under construction, as do sections of the Mariner East 2. Although the Mariner East 2 is operational, construction accidents and delays forced the company to use an older section of pipe as a workaround while work on the rest of the line continues. The Mariner East pipeline project includes three lines that carry natural gas liquids from eastern Ohio and western Pennsylvania about 350 miles across the state to Marcus Hook, Delaware County. 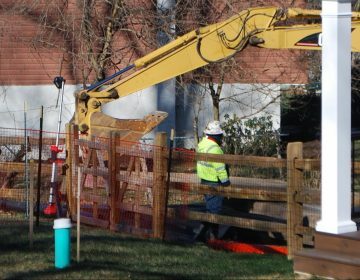 The Pennsylvania Public Utility Commission shut down the Mariner East 1 line earlier this year after a sinkhole exposed the pipe in Chester County. A spokesman for the Pipeline and Hazardous Materials Safety Administration said the agency is unaware that the maximum operating pressure on the Mariner 2x is now 2100 psig. 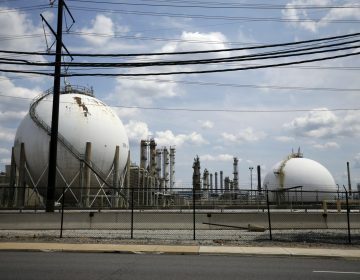 The Pennsylvania Public Utility Commission’s Pipeline Safety Division, Bureau of Investigation and Enforcement said it cannot discuss the specific pressures of pipelines because they “are confidential security information.” The PUC said federal safety regulations do not change based on the maximum operating pressure of a line. A spokesperson for the DEP said pipeline safety and operations are not a part of their jurisdiction. Pipeline safety consultant Richard Kuprewicz of Accufacts, which conducted a safety review of the lines running through West Goshen Township, said that historically, the pressure limits for natural gas liquids pipelines is at 1440 or 1480 psig. A pressure of 2100 psig, Kuprewicz says, is “in a whole different ball game.” He says components like valves and flanges may not be adequate for such a high maximum operating pressure. “All I can say is federal regulations wouldn’t prevent you from running it at 2100, but you would be out of your mind,” Kuprewicz said. Both Kuprewicz and Marx said failure at a higher pressure translates to greater safety risks. 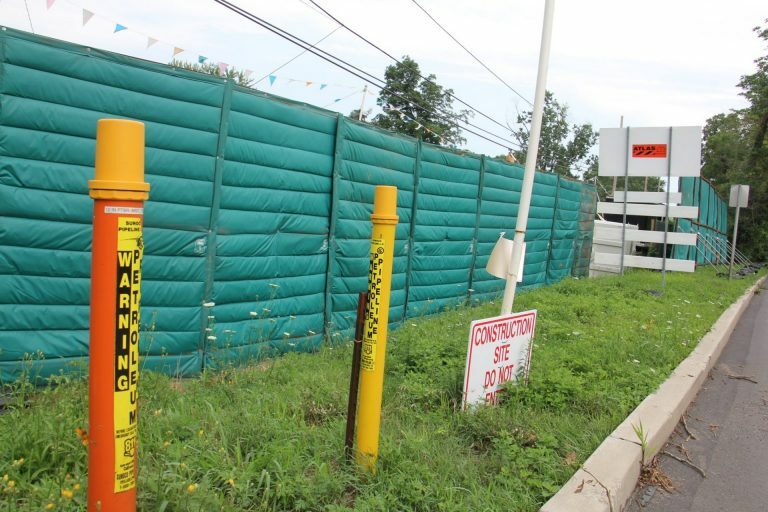 Kuprewicz says his review of Sunoco’s practices for the lines running through, or close to, West Goshen Township show the company exceeded federal safety standards with regard to the construction and operation of the Mariner East lines. He said he has not seen detailed information about the Mariner East 2x line. 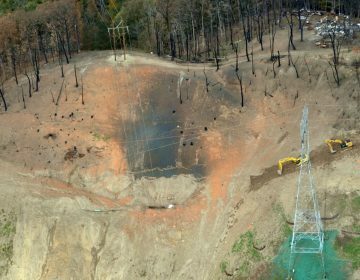 The Wolf administration says the PUC should take more 'aggressive' action against the pipeline builder. The PUC has asked Sunoco to work with Chester County emergency officials and some school districts to plan evacuation drills in case of a leak. The DEP said Sunoco can continue to operate at Marcus Hook while the DEP review takes place.